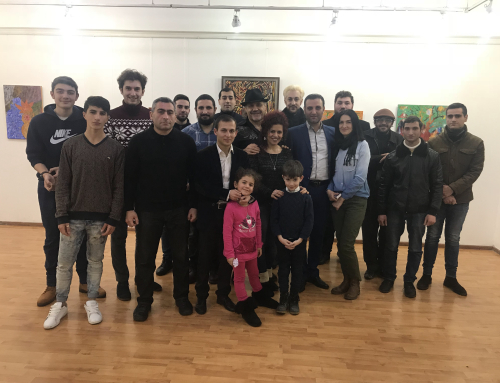 The Union of Armenian Magicians continues its good tradition of hosting talented and famous Armenians during their regular meetings. 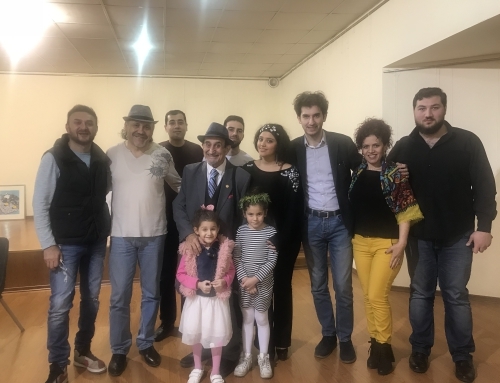 This time the honorable guest of the UAM was a distinguished actor Ara Sargsyan, who is famous among the Armenian spectator for his large range of activities and contribution in the spheres of the theatre, cinema and television. The actor has played in numerous theatrical performances, such as : “Fairy tales”, “Divine Comedy”, “Comrade Panjuni”, in commercial performances such as: “We play 1700”, “Mea Culpa”, “Rise”, and has been shot in various artistic movies, including “White bone”, “Symphony of silence”, “Priestess”, “Big story in a small city”, “Lost and found in Armenia” etc. 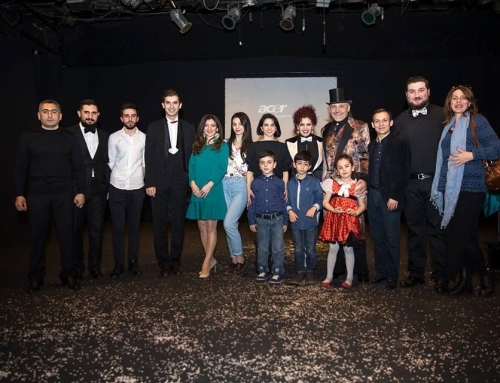 The members of the UAM displayed some magic tricks and pleasantly surprised the prominent actor. The latter on his part conducted a master class about the acting skills and directing. 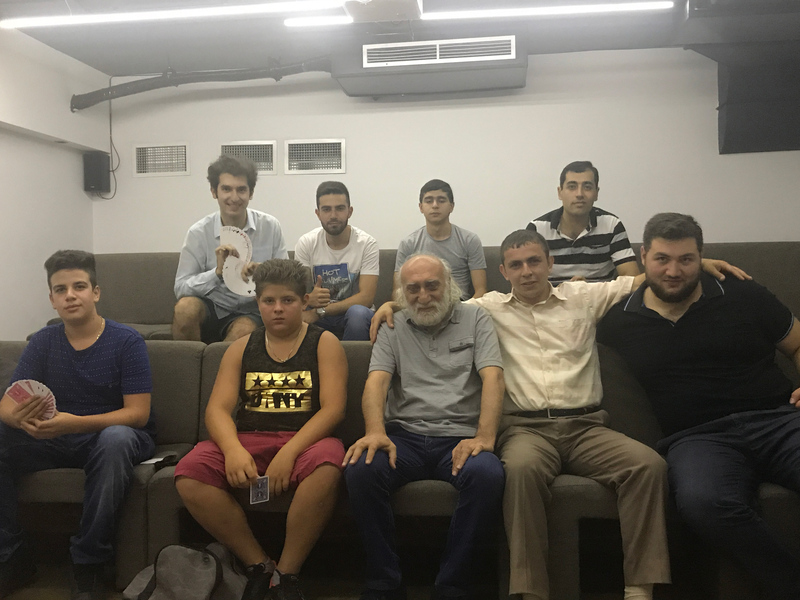 The actor shared his professional skills and experience, which, undoubtedly, was very interesting for the members of the UAM. 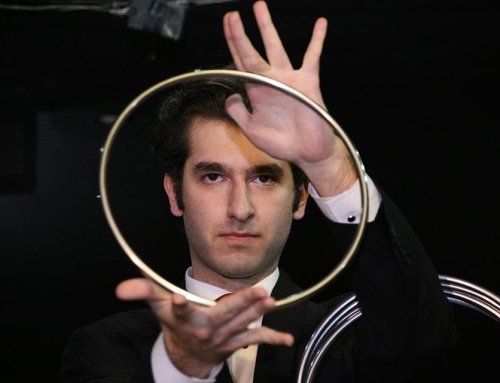 The usage of the gained knowledge will be useful in the art of magic tricks, because the magician is in some sense an actor…the actor, who does miracles, isn’t it so…?